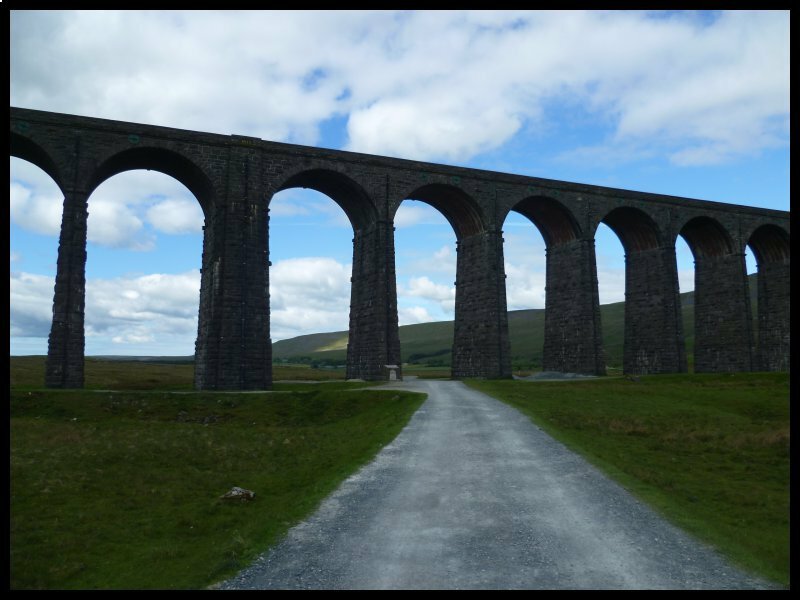 A tour of the Yorkshire Dales & North Wales. Planning for this tour was started during some cold, wet days in March, shortly after I returned from spending the winter in Spain. 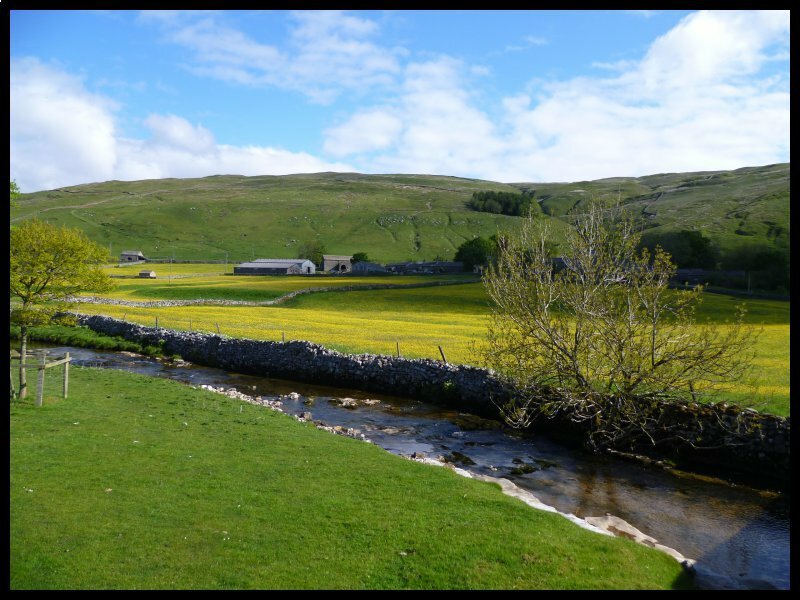 I’d visited Ribblesdale some years earlier on a day out when my wife and I stayed near Penrith, and I thought it would be good to see some more of the area. Also I wanted to visit the attractions around Ironbridge, so the idea came to me to plan a circular route. 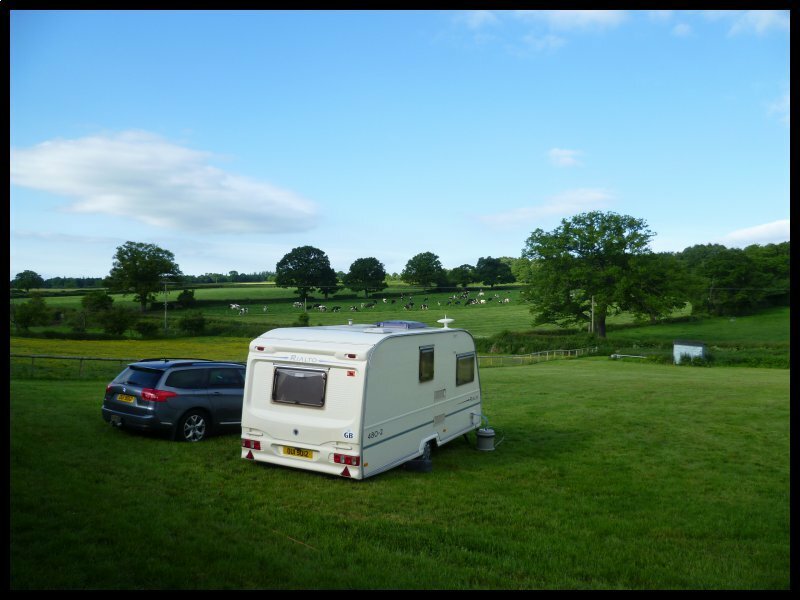 By early June my diary, and the 10 day weather forecast was looking favourable so I began my search for available pitches on Caravan Club sites. As I expected, most sites were fully booked for Friday and Saturday nights. However the Wharfedale site was available for week nights and also the site at Presthope in Much Wenlock, but Lady Margarets at Chirk was fully booked over the weekend. I had no alternative but to try Halton Farm, a nearby CL – one which I’d been advised to avoid. But needs must! So with bookings made I packed the car and van. Living just inside the M25 boundary every towed journey begins with a long section on that motorway. Consequently, to avoid the worst of the congestion I prefer to leave or arrive home early morning or late at night. So I was ready to set off at 6.15am. The motorway was quickly reached and although it was already busy, it was free flowing. With a couple of breaks for coffee I’d completed the 284 miles and I was on site at Wharfedale by 1.0pm. After setting up, having had lunch followed by a snooze, I programmed Tomtom with GPS coordinates to take me to the local Tesco in Skipton for supplies and fuel. Next morning when I raised the blinds at 6.30 I was delighted to see above me blue skies with not a cloud in sight. I had breakfast, packed some lunch, filled the Aquaroll and was ready to leave the site by 8.15. I turned left on leaving the site and drove deeper into Wharfedale. The countryside looked lovely in the early morning sunshine with occasional glimpses of the river. 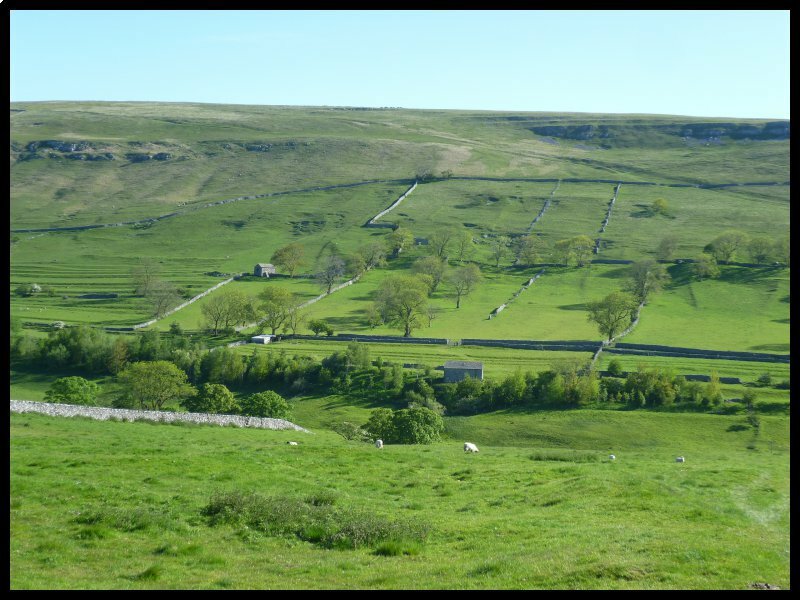 Eventually it was time to leave the valley bottom, climb the hillside and continue over the moors and into Ribblesdale. I stopped close to the top to take pictures and was dismayed to see clouds gathering. Not the fluffy white kind but much blacker ones. 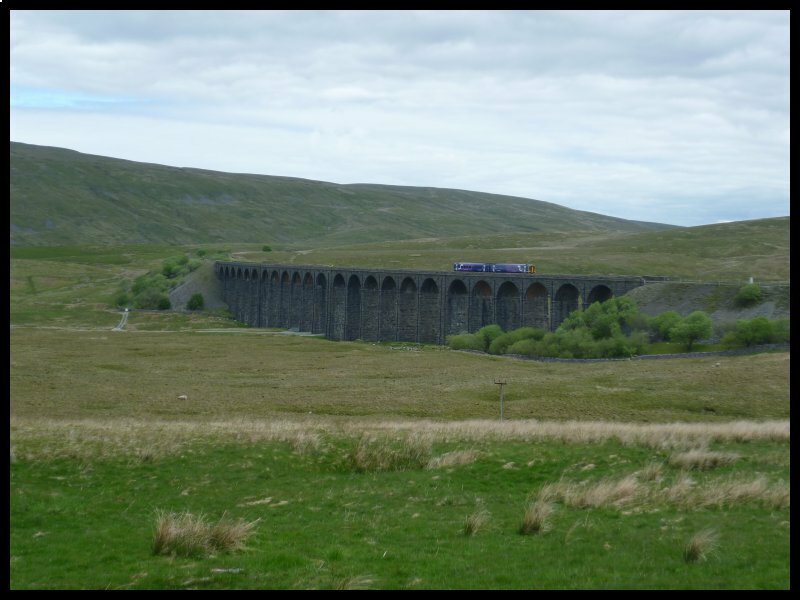 I continued downwards towards Horton then along to where I parked close to the Ribblehead Viaduct. Sadly, by then the sky was completely overcast, but I unloaded my bike and set off along the track to get close to the Viaduct. My next stop was in the tiny village of Dent. I parked and took a walk along the cobbled streets. There I came across a memorial to Adam Sedgwick, born in the village in1785, who some regard as the first of all the geologists. I’d seen several more until finally, just outside the town, four or five caravans were pitched on the wide verge with their horses tethered, munching the grass. I concluded that these must be the same families who gather for the Appleby Horse Fair each year. Brough stands on the southern side of the A66, which is the main route between the A1 at Scotch Corner and the M6 at Penrith. 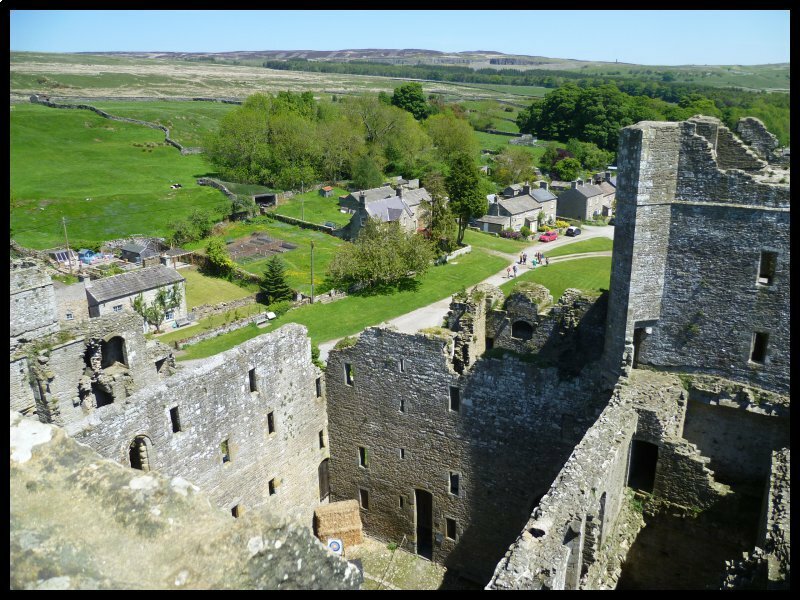 The medieval castle was built on the site of a previous Roman fort which the Romans called Verteris. All the medieval remains date from the 12Century onwards. 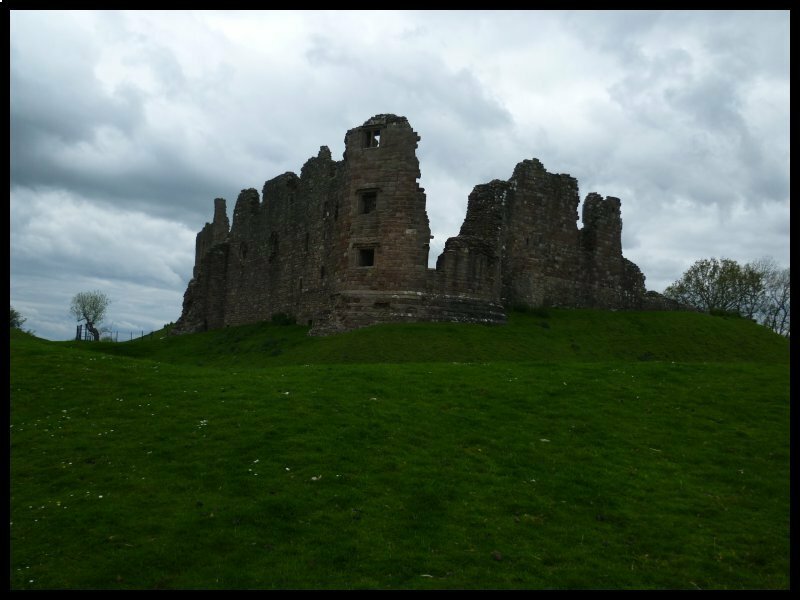 For more than 450 years the powerful Clifford family held the castle and surrounding countryside. The last time work was done on the buildings was during the 17th Century by the last of the line, Lady Anne Clifford. The ruins and surrounding ground is maintained now by English Heritage. 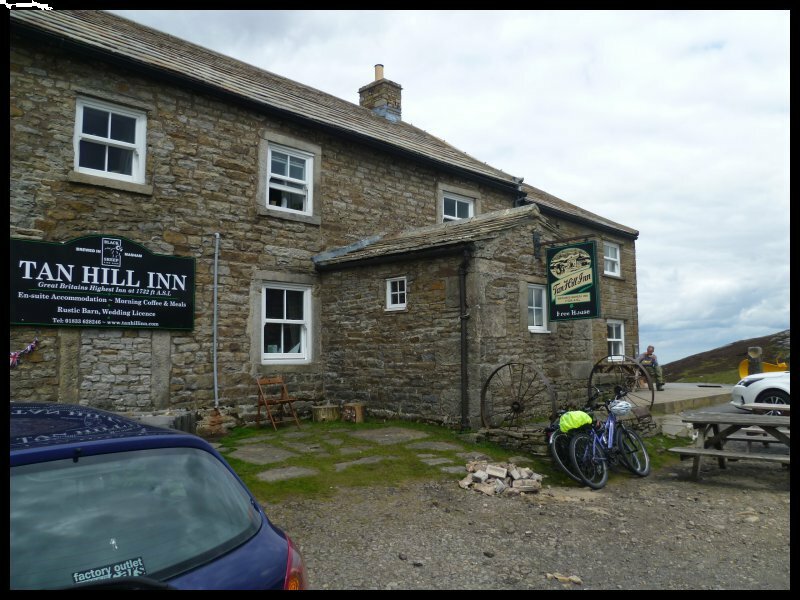 From Brough, I set my next destination on Tomtom for the Tan Hill Inn. This is probably one of the most isolated pubs anywhere in the UK. It’s certainly one of the highest since it stands at more than 1700 feet high up on a bleak moor. 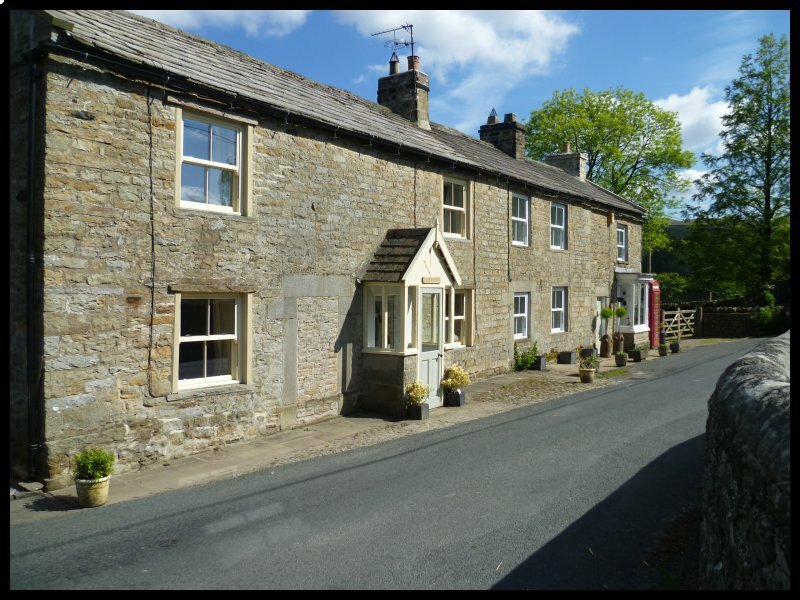 It was built in the 17th Century, together with many houses for local coal miners, but when the last of the mines was closed during the late 1920’s, the cottages were pulled down, leaving the pub isolated. For a few years it existed on the custom of a few local farmers, but now it has found a new lease of life since it has become a venue for popular music groups. It even has a licence to perform wedding ceremonies. Apparently in 2009 the revellers who met there on New Years Eve were unable to leave for three days because of a sudden snow storm during the night. Well – so they said!! 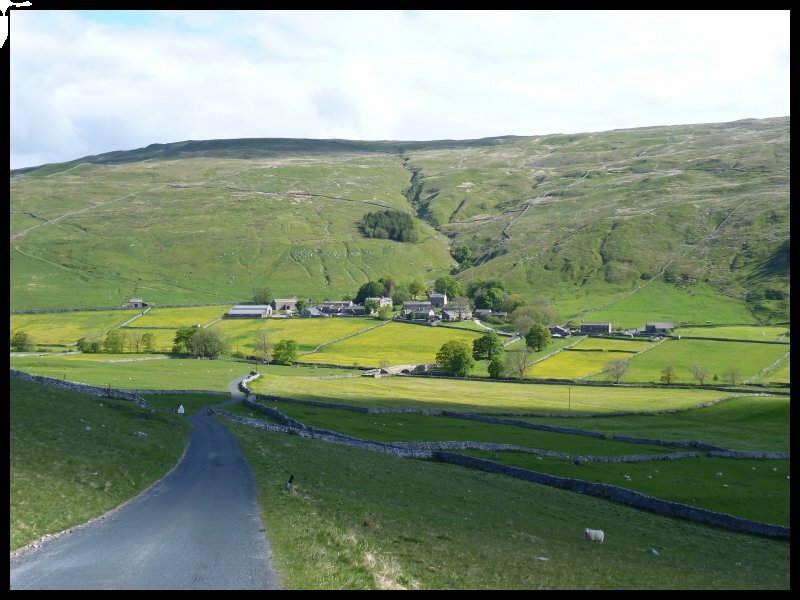 I began my journey home over Buttertubs Pass and I’d planned to take a look at Hardraw Falls on the way but knowing that it involved a climb (and a drink because the entrance is from the bar of the local pub), I decided to give it a miss – I felt I’d done enough for one day. However it’s supposed to be worth seeing, with a drop of around 100 feet. Instead I took my weary self straight back to the site for a long awaited cup of tea, having motored just over 100 miles in the day. Day two began the same as yesterday with a beautifully clear sky so I was up early again and ready to leave by 8.15. I turned left from the site and headed up the valley once again. 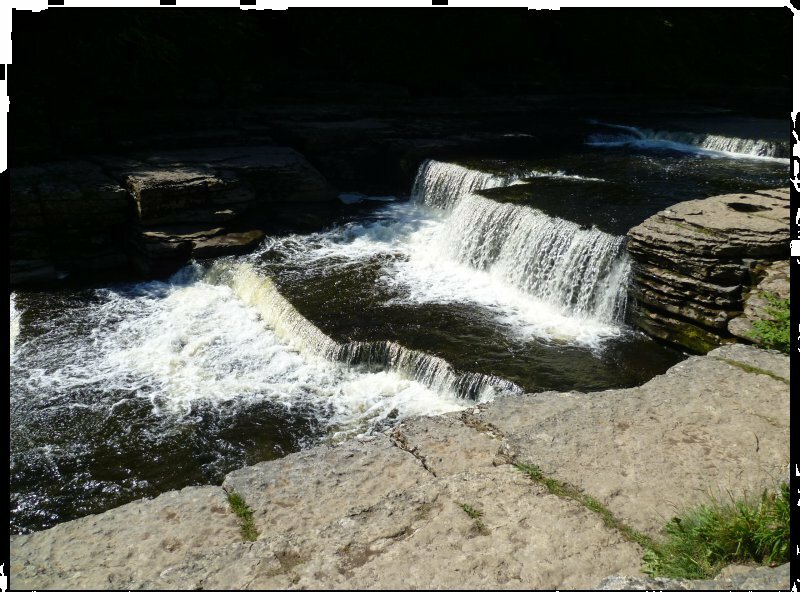 I made my first stop after only 20 miles at Aysgarth to see the waterfalls. 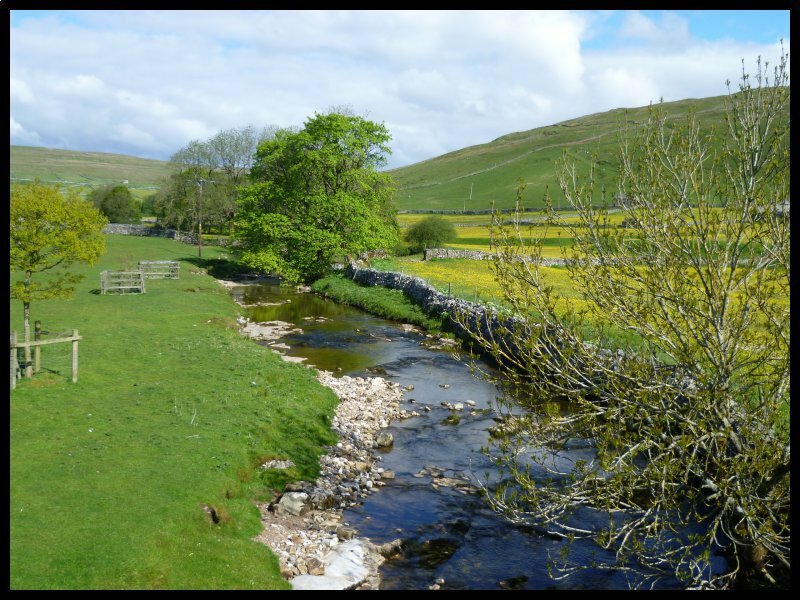 This is a triple flight of waterfalls, surrounded by ancient woods and farmland situated on the river Ure. 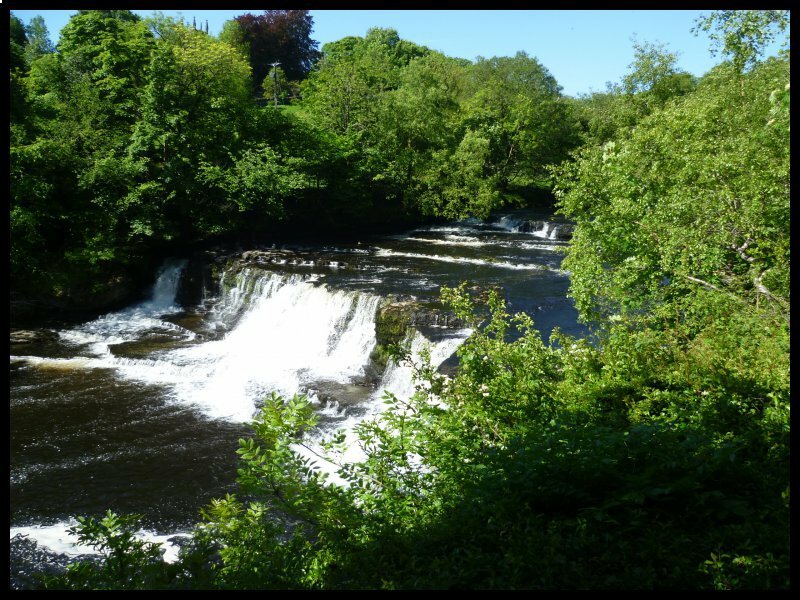 The three flights cover a mile along the river with the carpark situated midway between the falls. Being only 9am I met only a few other early risers on my walks. After a cup of coffee I drove on for only 5 miles which brought me to Castle Bolton where I wanted to see the castle. The castle building was started by Sir Richard Le Scrope in 1379. Besides being Lord Chancellor to Richard II, one of his first experiences on the battle-field was at Crecy. 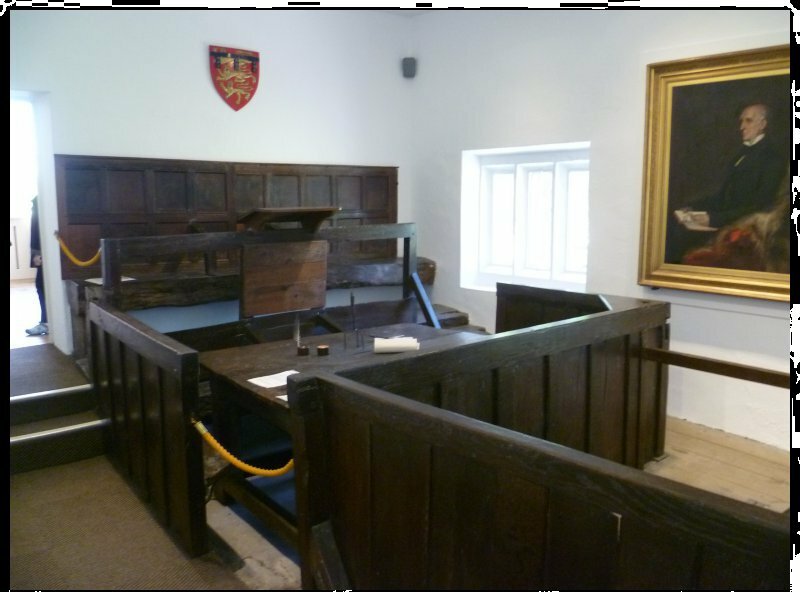 Later on the 13th July in 1568 Mary Queen of Scots was brought here and confined for six months in the custody of the 9th Lord Scrope. 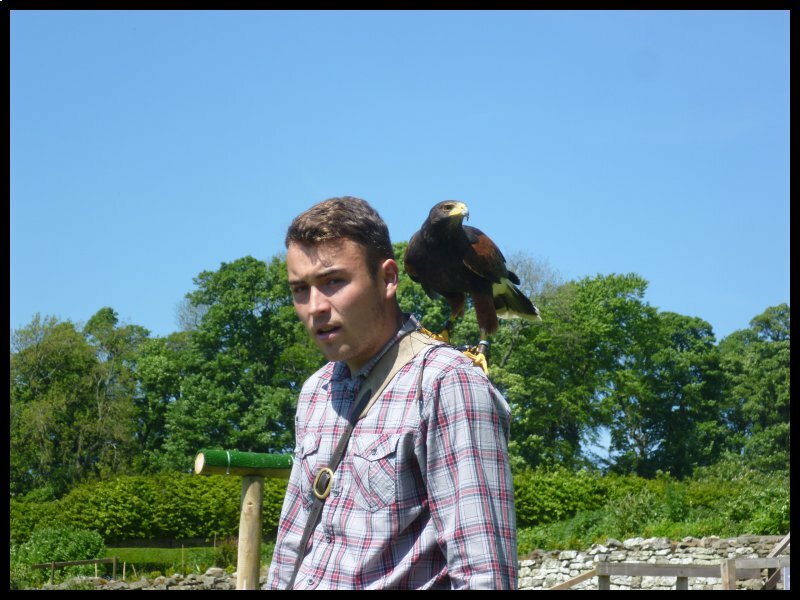 My arrival at the Castle coincided with the start of the birds of prey display, so it was to there that I went first. Later I climbed to the battlements where there was a grand view over the surrounding countryside and gardens. 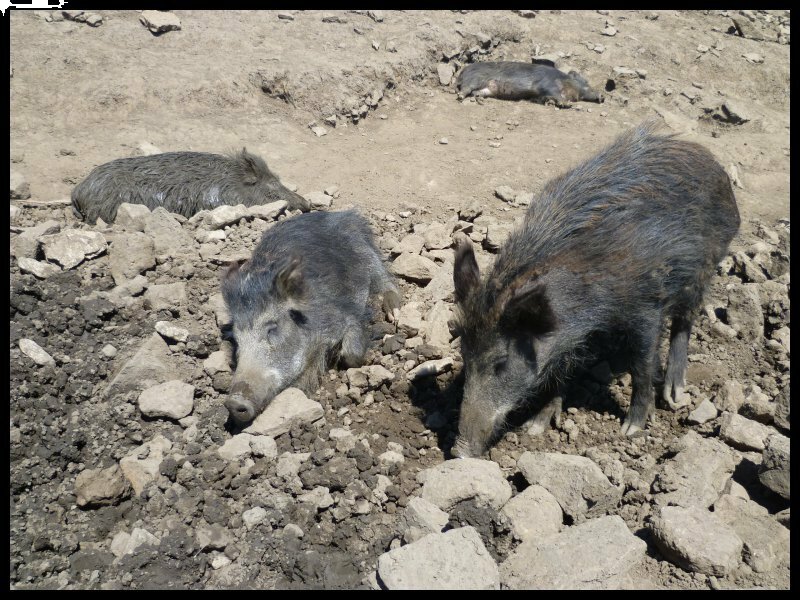 Before I left the grounds, I went to see the wild boar enclosure. 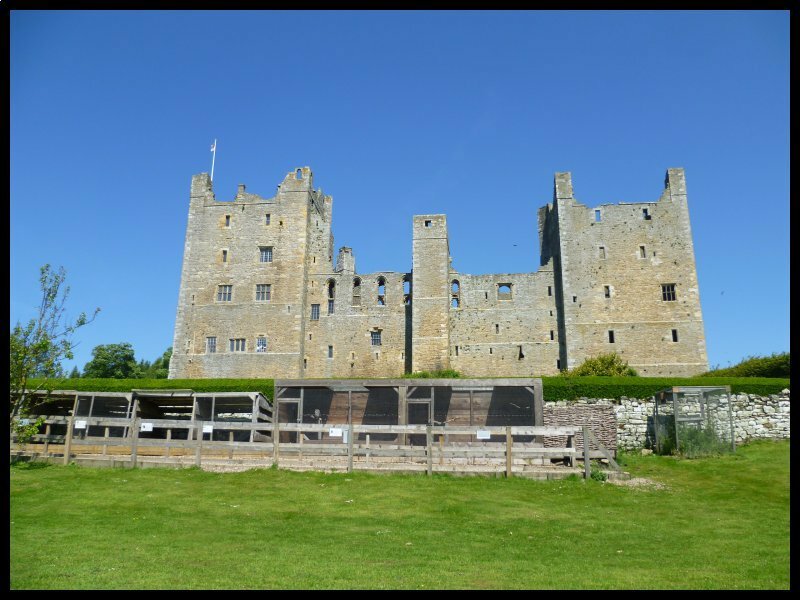 My journey next took me to the village of Middleham where there’s another castle however, I didn’t stop as I visited it last year when I stayed at Thirsk. Instead I drove another four miles and went instead to see the ruins of Jervaulx Abbey. This Abbey was founded in 1146 by a Cistercian monk, Peter Quintain on land granted to him by The Earl of Richmond. Over its 400 year life time it became hugely wealthy and flourished until the dissolution of the monasteries. The dissolution was not without protest, especially in the area of North Yorkshire. Many thousands of protesters led by Thomas Aske set out to march south. King Henry VIII alarmed at such a large force of protesters ordered the Dukes of Norfolk and Suffolk to break up the protest, but the Kings forces who probably lacked a willingness to fight against fellow-countrymen and who were also very likely to be in sympathy with them, could achieve nothing against such large numbers. Eventually when Henry realized they were not seeking to overthrow him, but only to get him to reverse his decision on the dissolution, acting upon the advice of his adviser Cromwell, he promised them all they wanted. After the protesters dispersed, the leaders were invited to discussions, where upon they were all arrested, put on trial and were executed. From Jervaulx my route took me through the village of Coverham where I stopped to visit the church. 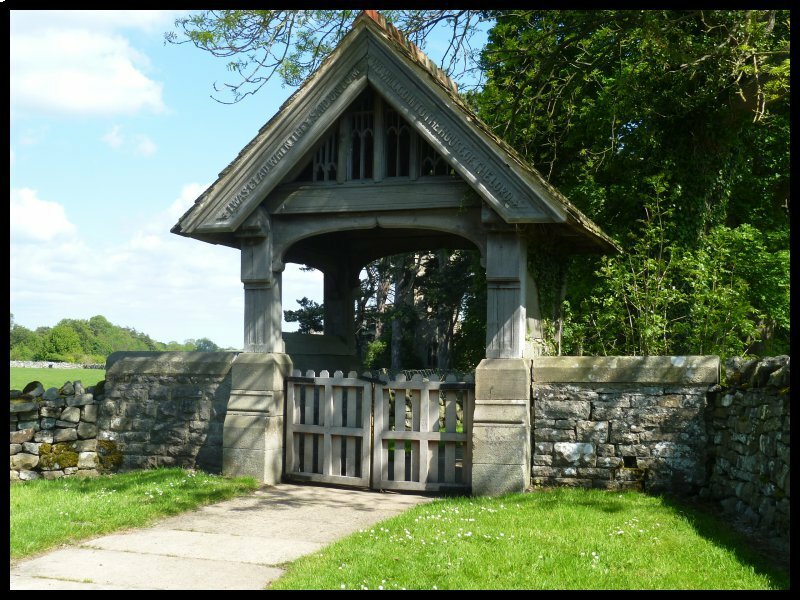 At the entrance to the grounds there is a lovely Lych gate. Sadly the church is no longer in use, however it is still open and maintained. From there my journey back to the site took me over some desolate moorland. I stopped in the village of Horseshoe which was once a thriving mining village. A row of one up; one down cottages have been converted into two dwellings, one of which used to be the long-gone Post Office. 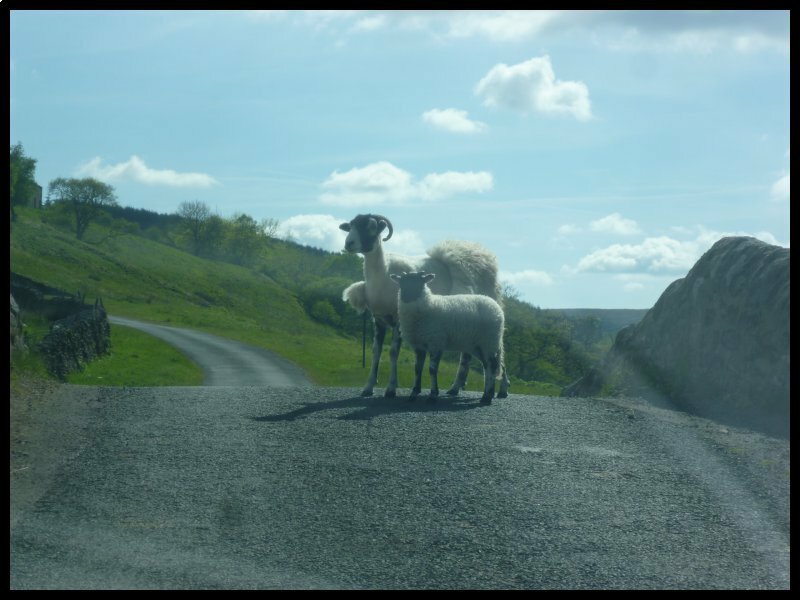 My route back to the site continued over the moor where sheep appear to have right-of-way. 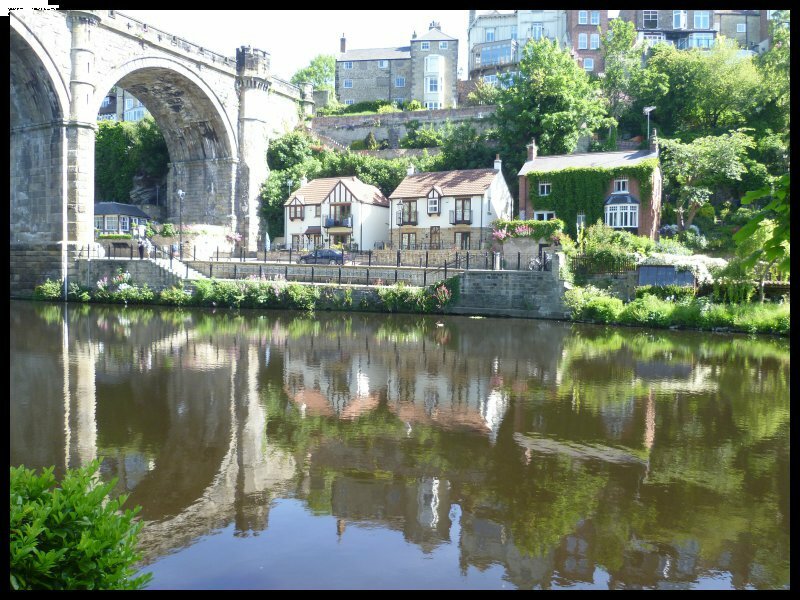 For my last day in Wharfedale I decided to visit Knaresborough about thirty miles away. 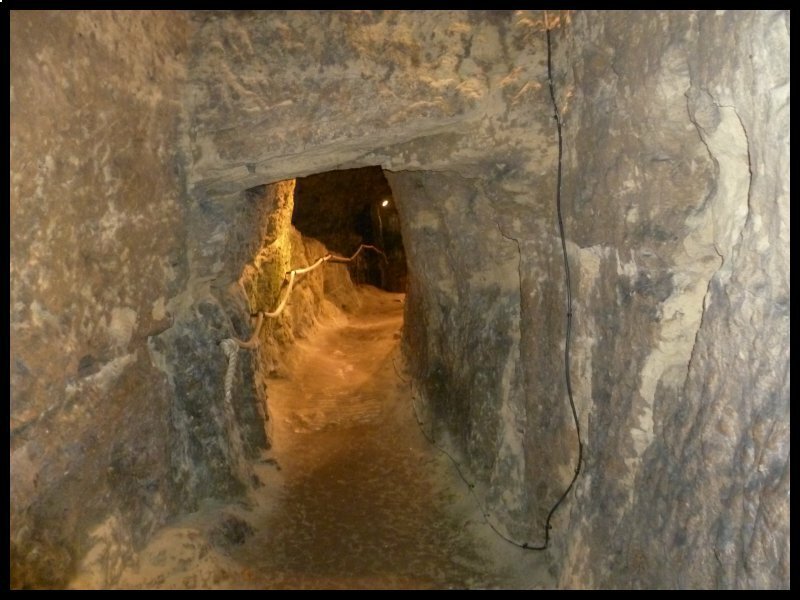 One of the attractions in this town is Mother Shipton’s cave where the entry point is just off the main road before reaching the town. Parking is on an all-day ticket, so it was to there that I went first. 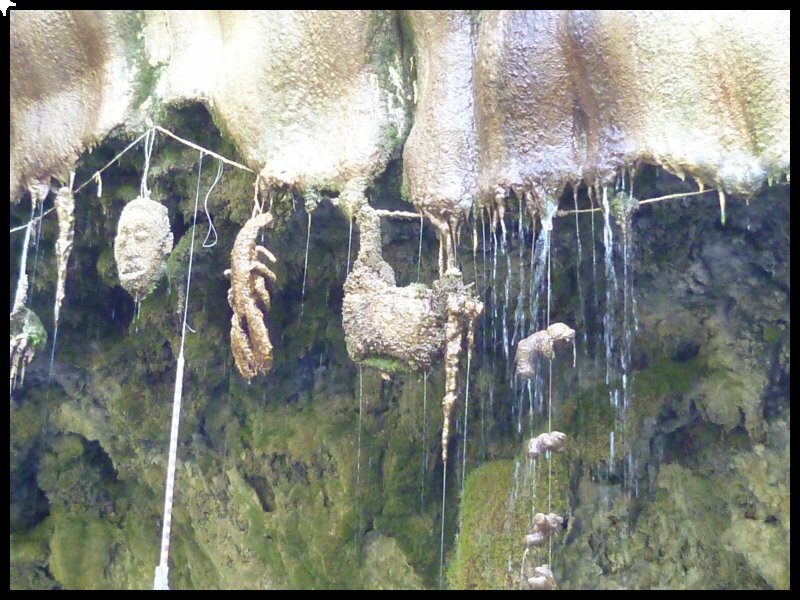 It’s a beautiful walk along the river bank to the petrifying well and the cave site. 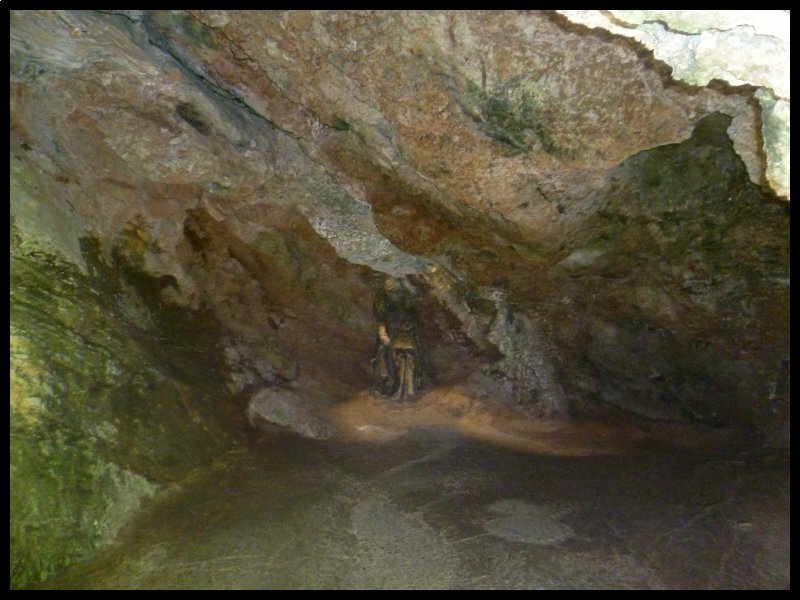 The owners claim that the cave has been an attraction since it opened in 1630. However the story began much earlier in the reign of Henry VIII. Apparently a young girl in the town became pregnant but refused to name the father of her child. The local magistrate banished her from the town and she sought refuge in the cave alongside the River Nidd. Carriages without horses shall go, And accidents fill the world with woe. Around the world thoughts shall fly, In the twinkling of an eye. The Spanish invasion, the defeat of the Armada and the Great Fire of London are among the forecasts attributed to her. I left the car in the carpark and cycled over the bridge and up the hill towards the castle. 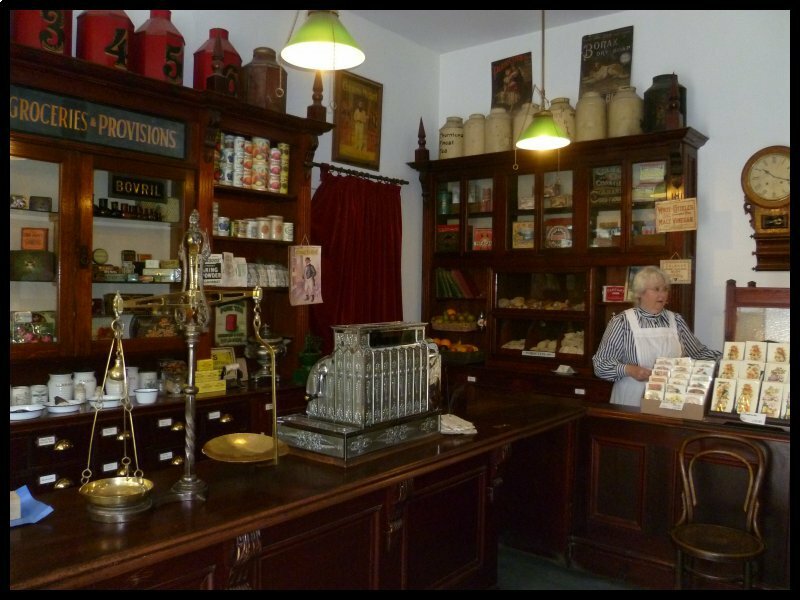 Another of the town’s claim to fame is that it has the oldest pharmacy in the Country. 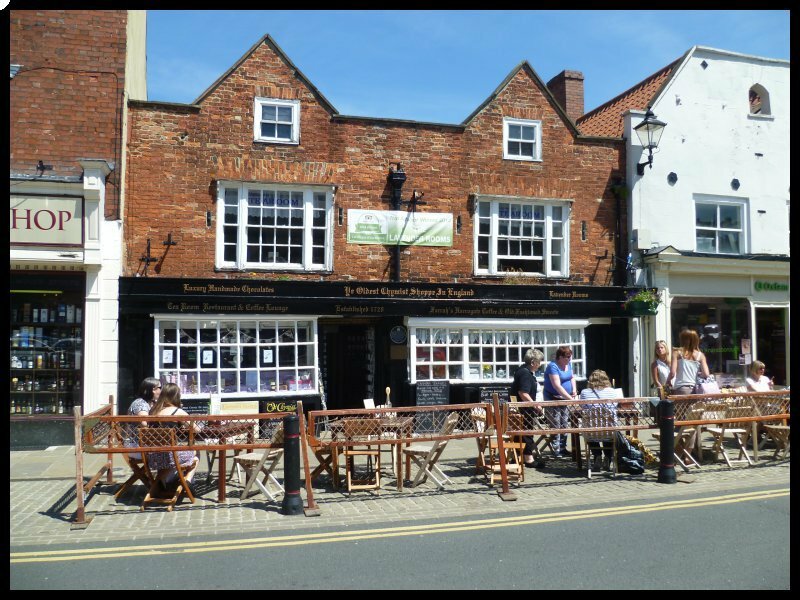 Eventually I found it in the market place, now turned into a coffee shop – but still a very attractive old building. Very little of the castle remains, however the old court house still stands within the original grounds. There’s also a sally port which still leads from what was once the courtyard, out into the dry moat. Today was the day I had to leave Wharfedale and travel just over 100 miles to Chirk. As I said earlier, being Friday, I had to leave Wharfedale because of weekend bookings, and I was also unable to book Lady Margaret at Chirk for the same reason. 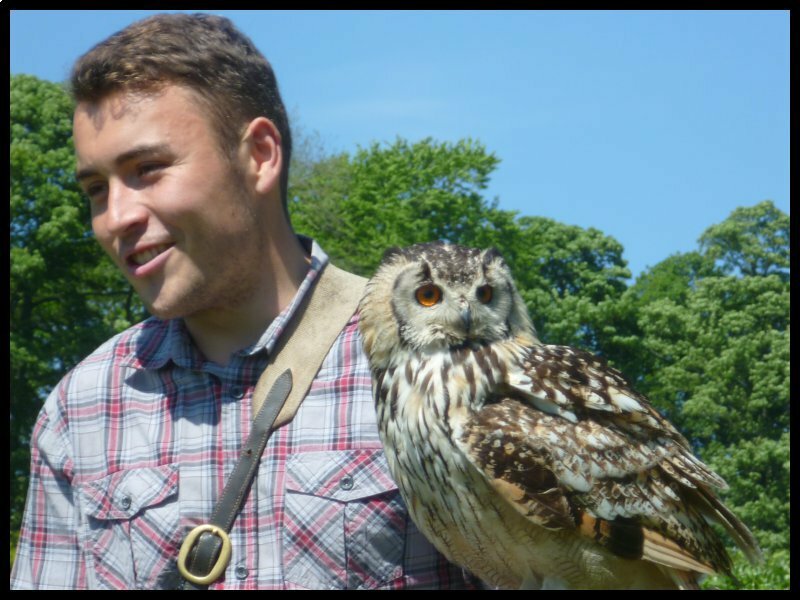 Therefore I was heading for a CL at Halton – a site which has had some rather unfavourable comments posted about it over the years. After I’d booked, and before I arrived, I received an email from the owner telling me there would be no shower available. As far as I was concerned that was OK since I always use my own anyway. Upon arrival the site toilet in it’s Porta-loo cabin didn’t look particularly attractive, but again I always use my own, so I didn’t even go to examine it. It was the chemical disposal that had received most adverse comments and that I didn’t experience till my last morning. However, things have changed. Now there’s a brick built manhole standing about 18” high with a hinged steel cover situated to one side of the owners front lawn. When the cover is lifted, the cassette contents are tipped and they run away out of sight down a drain. A tap for flushing is installed alongside. So a vast improvement on previous experiences. 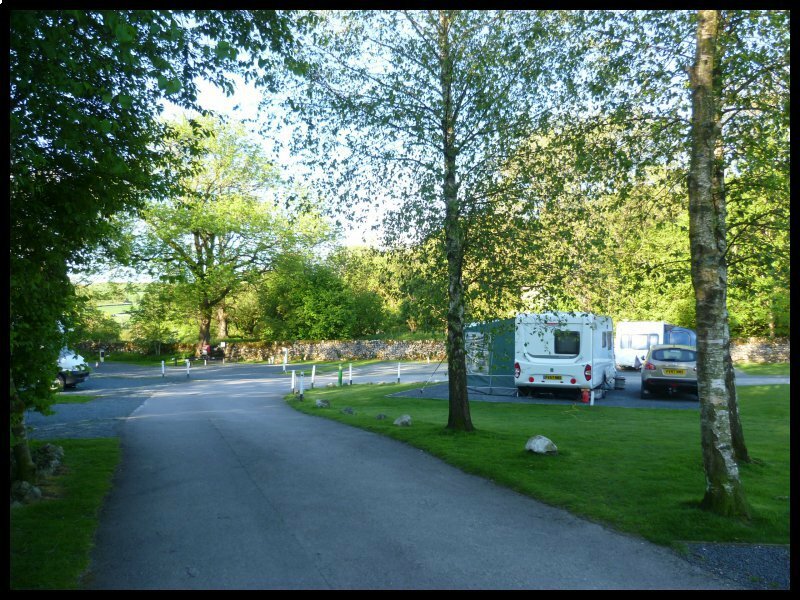 The field for caravanning is big for five vans – (sometimes six!!) It’s on a slight slope so whilst the rear of the van is close to the ground, blocks are useful to raise the front steadies. Views from the site are very pleasant and relaxing. Later in the day I drove to the castle however since it was within an hour of closing, I decided not to enter but return the next day. Sadly it seemed as if I’d left the clear skies behind in Yorkshire because my first morning at Chirk was dull and cloudy. 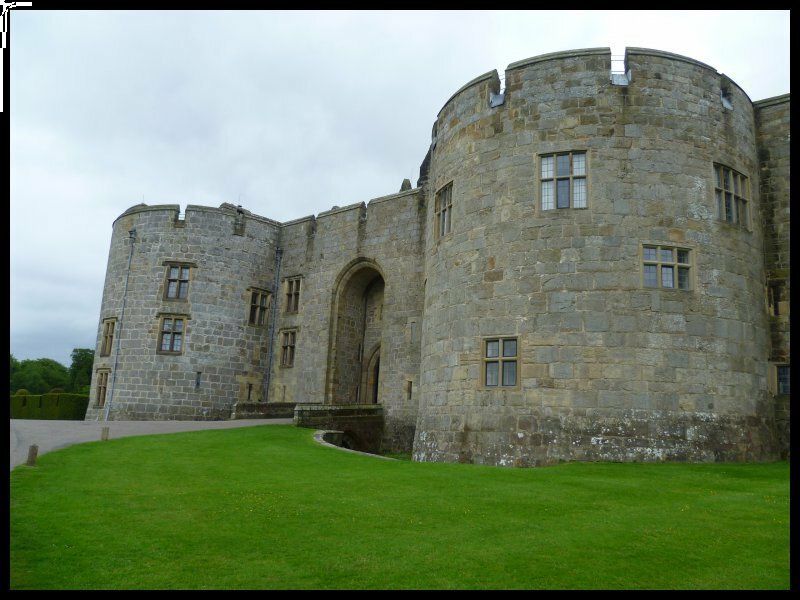 However I set off on the short drive to Chirk Castle. 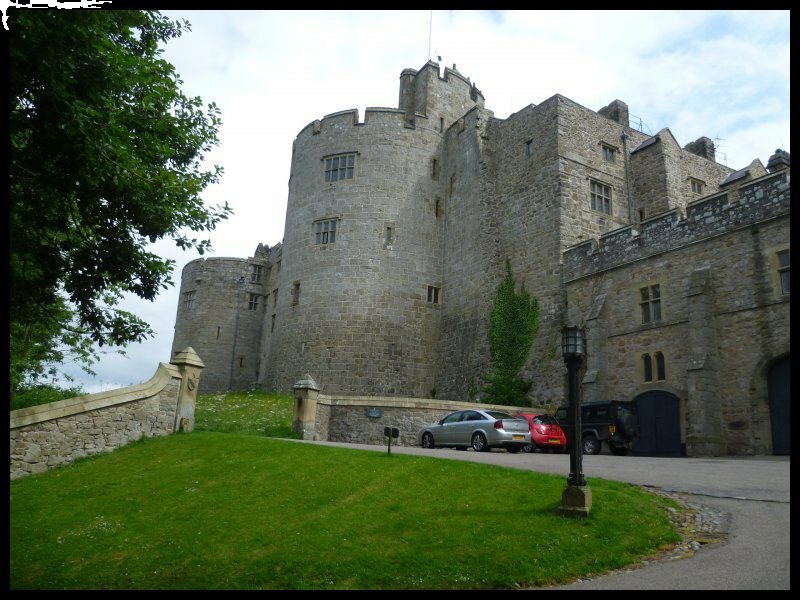 The castle was built by Roger Mortimer in 1295 as part of a chain of castles built across north Wales on the instructions of Edward I. It seems that Roger was a rather unsavoury turncoat to his country. When Llywelyn, Lord of Powis died he left his two small heirs in the guardianship of Roger Mortimer. The princes didn’t survive to take up their role. They were found drowned in the River Dee. Edward I was delighted to hear of the Princes demise and so the land and permit for the castle was granted to Mortimer in return for his services. Later Mortimer was made guardian of the future Edward II, however he turned against Edward and ended his life in the Tower of London. Three hundred years later – in 1595, the castle was bought by Thomas Myddlelton and was in the Myddlelton family ever since. Now the castle and beautiful grounds are maintained by the National Trust. 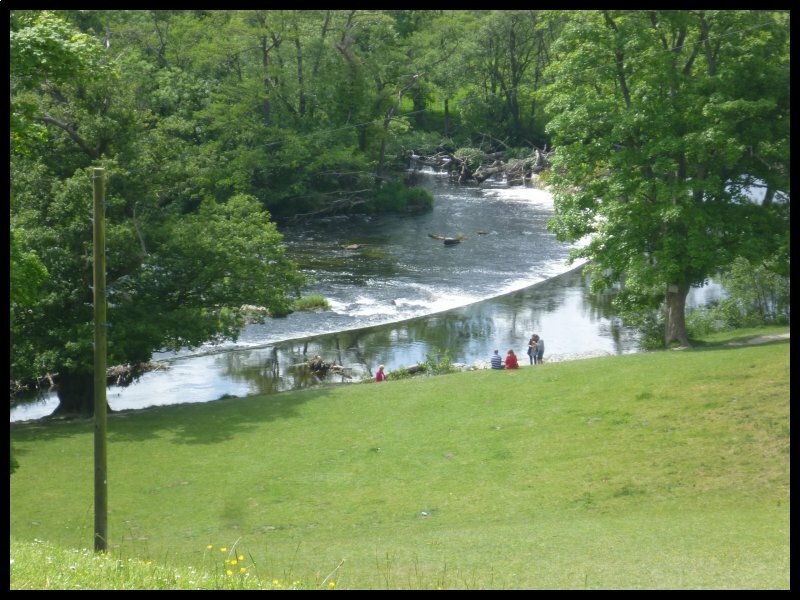 From Chirk, in brightening weather I drove to Llangollen where I parked at the Horseshoe Falls carpark. I would love to have walked down the steep hillside to the water’s edge but the thought of the long climb back dissuaded me. I contented myself with a view from the top. The Falls were designed so as to provide water from the River Dee to fill the Shropshire Union Canal. 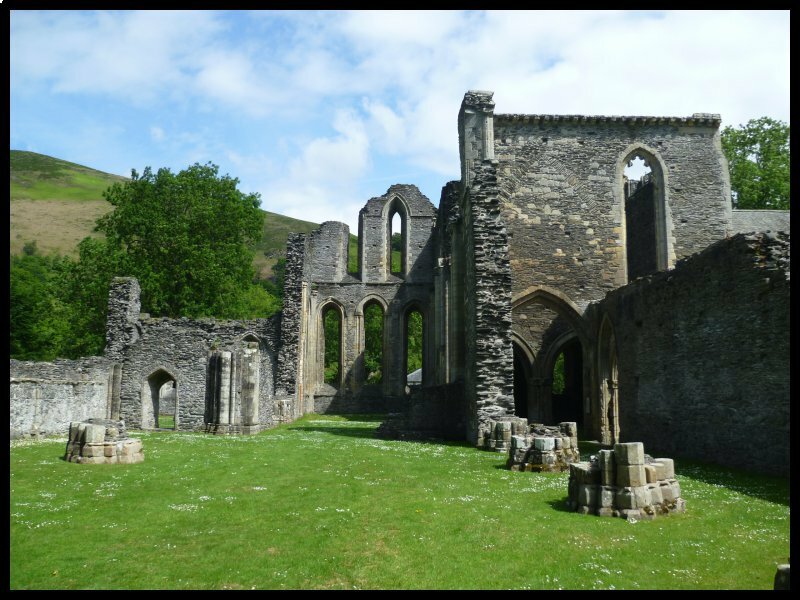 Back to the car again and another short drive to see Valle Crucis Abbey. 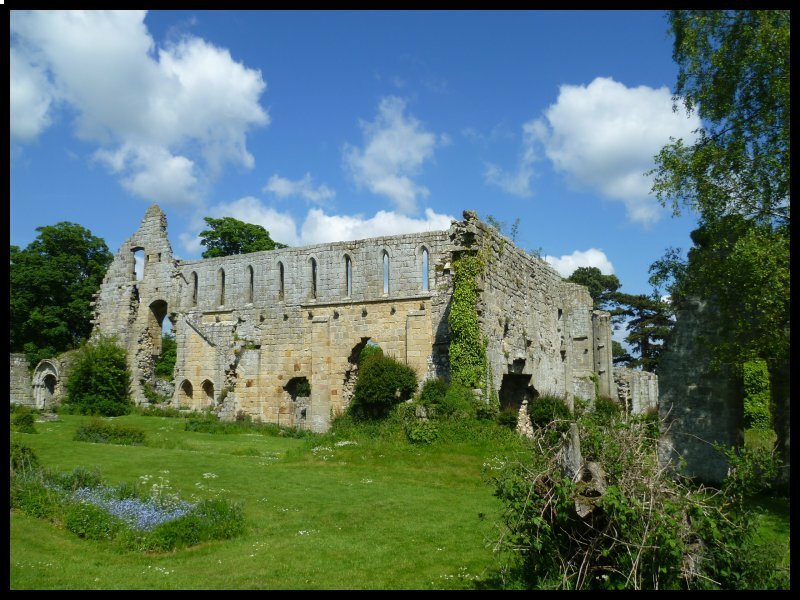 When this Abbey was completed it housed around sixty monks, 20 of whom were choir monks and the remaining 40 lay-members who carried out the day to day duties and agricultural work. Unlike the English Abbeys, this one because of Edward 1st battles against the Welsh never prospered. Also the Black Death took a terrible toll on the brethren. From the Abbey it was another short drive to the Pontcysyllte Aqueduct. From where I parked it was worth unloading my bike to cycle along the towpath. The aqueduct was built by Thomas Telford and William Jessop between 1795 and 1805. 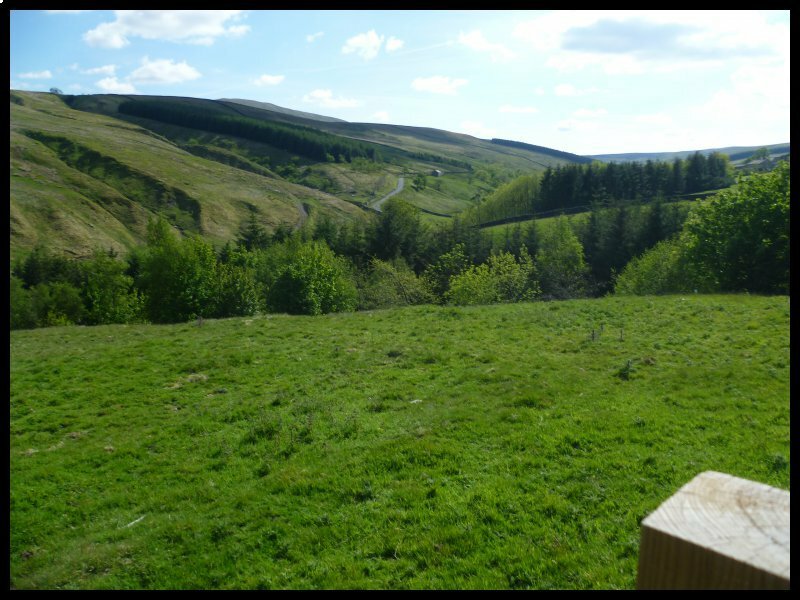 It stretches across the Dee Valley for more than 1000 feet. A cast iron trough 11ft wide and 5ft deep. The trough is supported on 18 masonry piers. 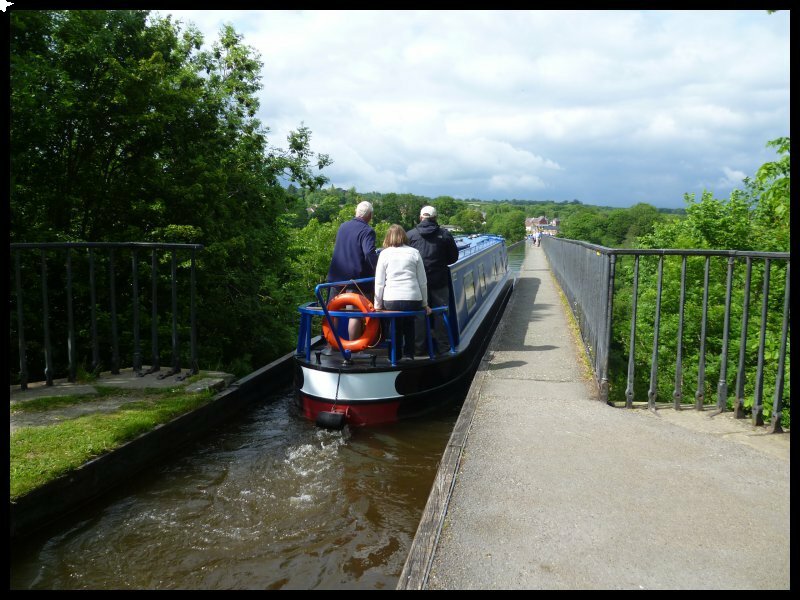 To walk alongside the canal and see the River Dee 150ft or more below is a truly awe-inspiring experience. After viewing the Aqueduct I ended the day with a bike ride along the canal towpath for a few miles. Today looks to be much brighter so an early start for the long drive into Snowdonia. 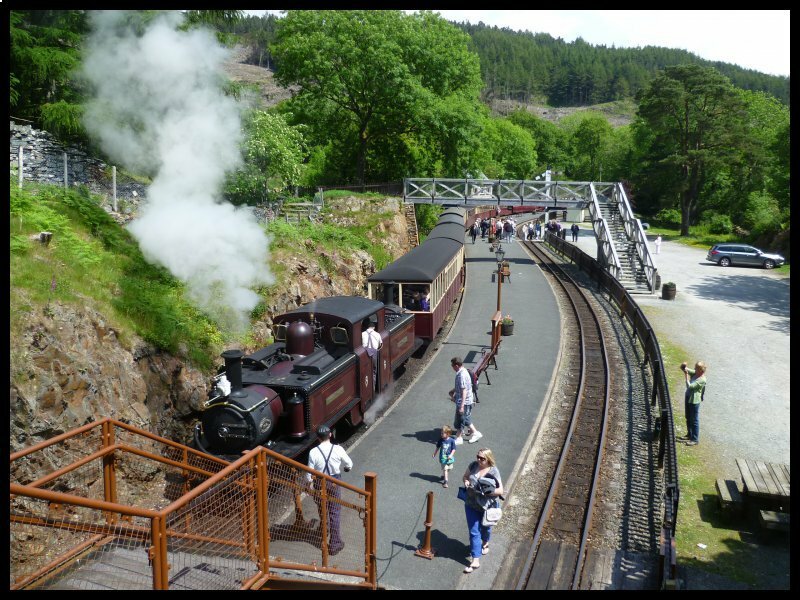 My aim, to visit the Ffestiniog Railway. My route took me along the A5 as far as Druid where I turned towards Bala. Catching a glimpse of the Lake, I decided to make that a stop on the way back. 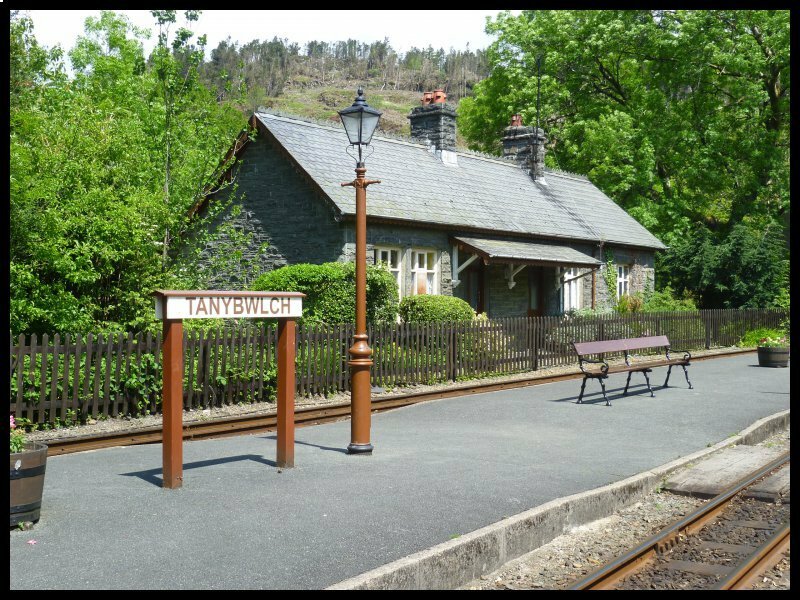 Right now I headed for the Railway station at Tanybwch. Weeks ago I had researched the stopping places and timetables for different days so I already knew that there would be a train arriving at 10.50. I had 20minutes in hand. Finally it arrived and I boarded for the 25 minute journey to Blaenau Ffestiniog. 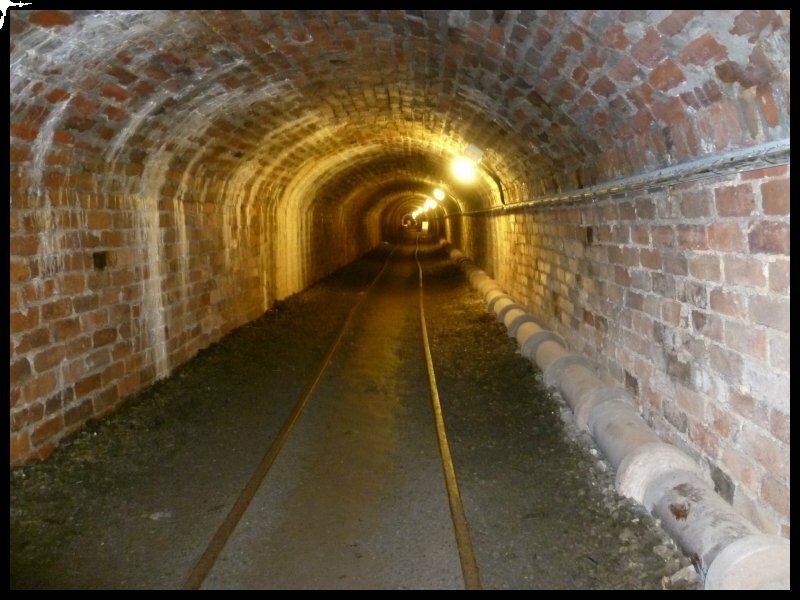 The railway line was constructed in 1833 to enable slate to be transported from the quarries around Blaenau Ffestiniog down to the coast at Porthmadoc where it was loaded into ships. 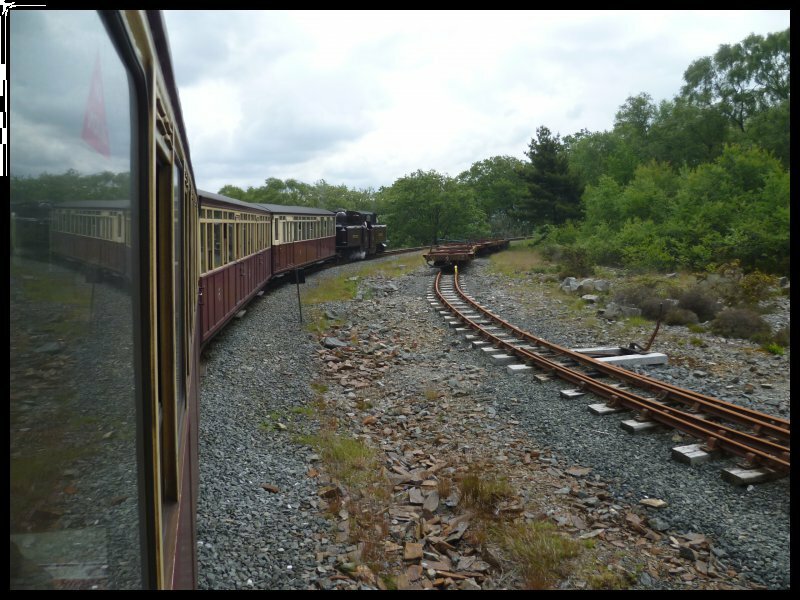 The railway was laid on a slight gradient so that loaded wagons would run by gravity downhill all the way to the port. The then empty wagons were pulled by horses back to the quarry. The horses then returned to the coast in other wagons. 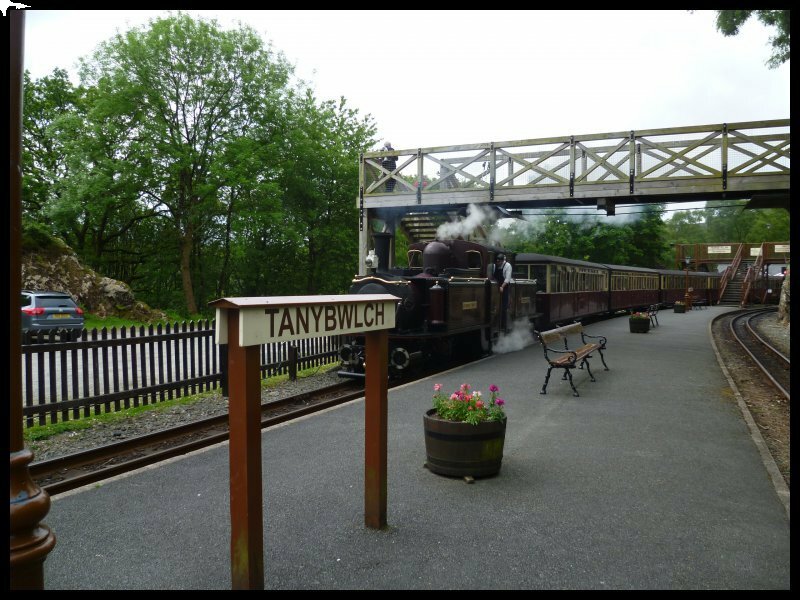 The train arrived at Blaenau Ffestiniog but as it left again in 20 minutes, I didn’t venture away from the station. After all, it was my intention was to drive here later in the day to see the town. 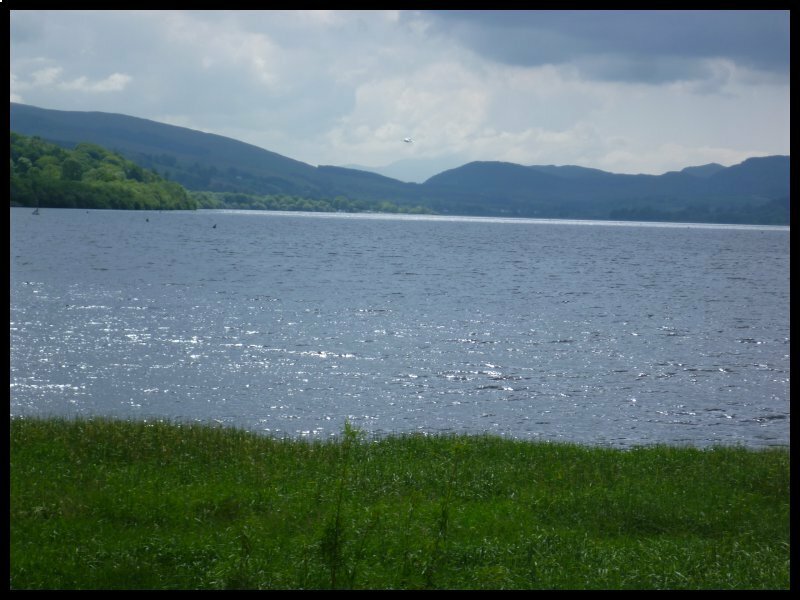 When I arrived back at Tanybwch I drove to a nearby lake where I had a picnic lunch. A quick drive up to Blaenau Ffestiniog which is a small town surrounded by many years of slate quarrying spoil, and then it was time to set off on the return journey. As I reached Bala Lake it was time to brew up a cup of tea. After yesterday’s long drive, I decided to have a quiet day with a cycle ride in the afternoon along the towpath. Today there’s no hurry to leave Halton Farm. My drive to Wenlock in Shropshire is only 40 miles away and I can’t arrive before mid-day. So it was after 11am when I set off. By two in the afternoon I was set up so I drove into Wenlock to take a look at the Priory. 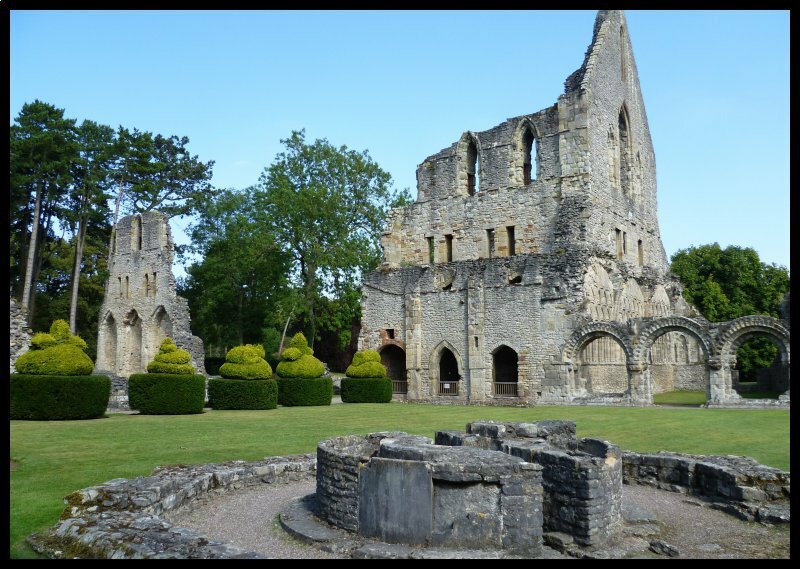 Wenlock Priory is a ruined 12th Century building once occupied by monks of the Cluniac order. It is said to be the final resting place of Saint Milburga. Some of the buildings on the site are privately owned but much of the grounds are in the care of English Heritage. 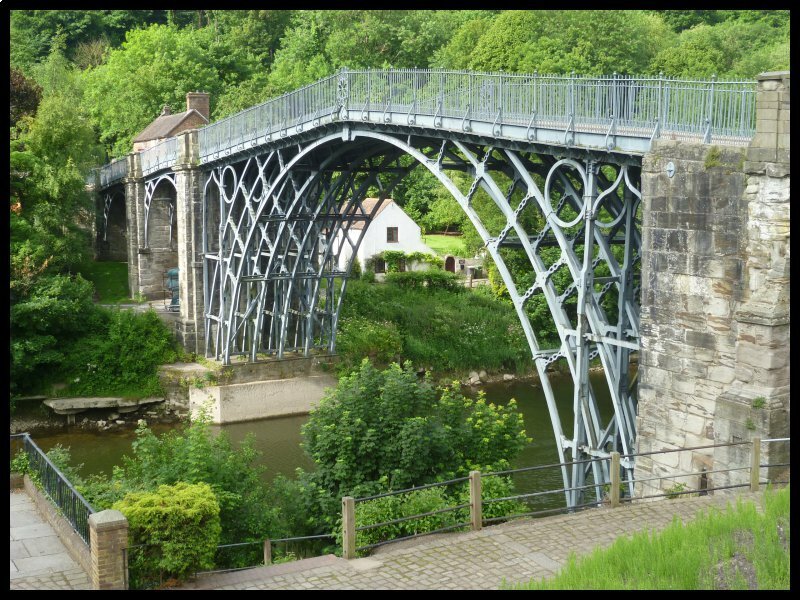 My main reason for visiting Shropshire is to visit the Ironbridge Gorge and its museums. 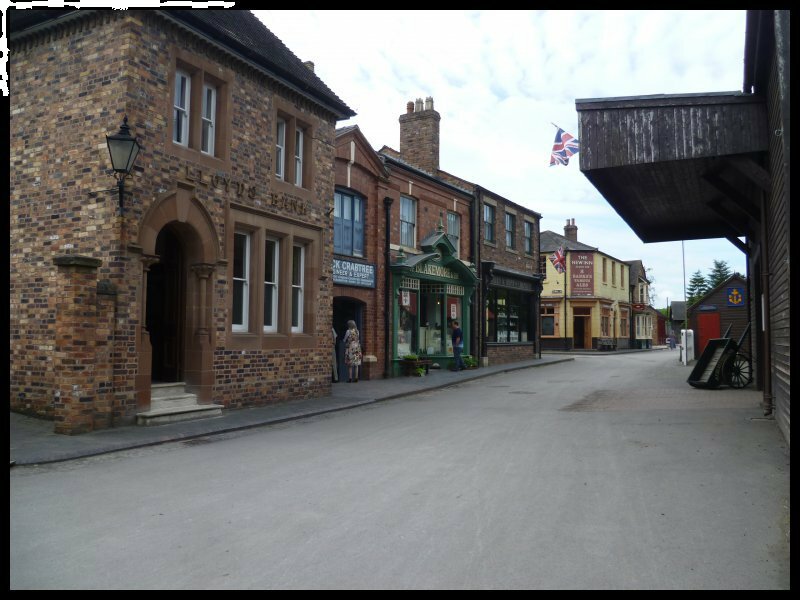 By far the largest part of the complex of museums is the Victorian Village at Blists Hill. It was where I planned to go to today. But since it was on my way, I wanted to stop and look at Buildwas Abbey. The Abbey here was founded by the Bishop of Coventry in 1135. It was inhabited by a small group of monks who originated from Furness Abbey. Because of its location so close to the Welsh border, the Abbey was regularly raided by Welsh tribesmen. On one occasion the abbot was kidknapped by a Welsh prince. Finally the Abbey was dissolved in 1536 on the orders of Henry VIII who gave the buildings and land to Baron Grey of Powis. From the Abbey its only a short drive following the course of the River before reaching the Ironbridge. 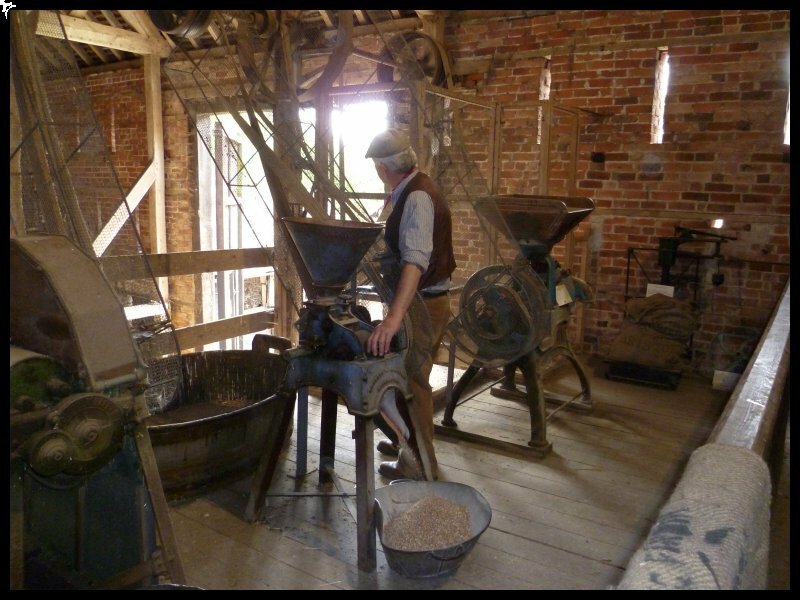 The area of Coalbrookdale has been described as “The birthplace of the Industrial Revolution” because it was here where coal mining, iron ore extraction and smelting all took place. Of course the Industrial Revolution was also beginning in other places at the same time. 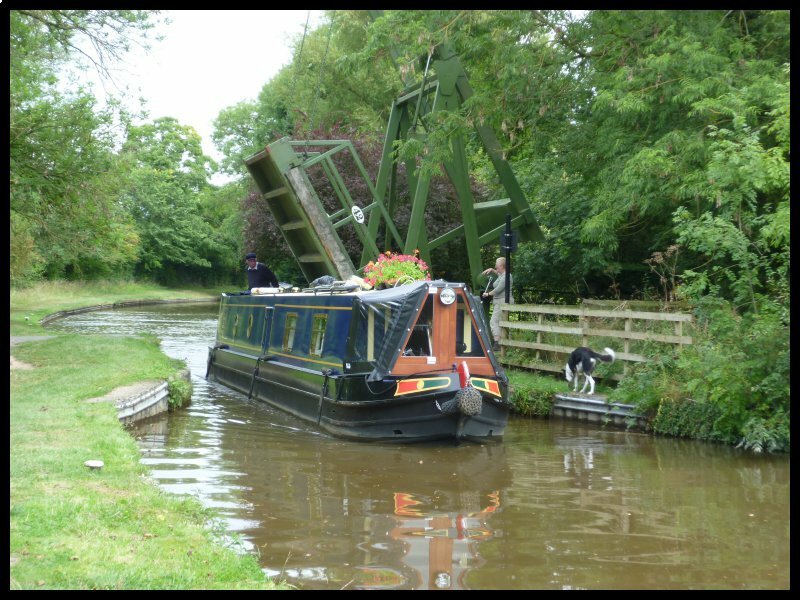 Here however, several generations of the Darby family developed the businesses and the bridge was produced from cast iron to demonstrate its versatility. It was opened in 1781, It drew admirers from all over the world and to accommodate the crowds a hotel was built on the approach to the bridge. Also a toll house where users paid their fee for crossing the river Fine China and tile production also took place along the river banks. However, this morning I was driving further along the Gorge to the Victorian Village. All the features in the village are authentic however they have been carefully dismantled and brought to their new setting.. 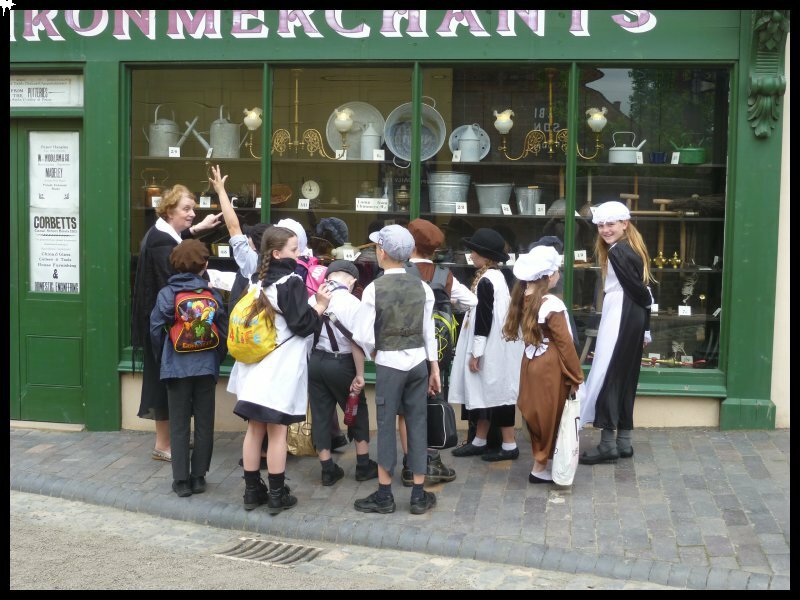 Most of the shops and workshops are open, staffed by knowledgeable people wearing Victorian style dress. 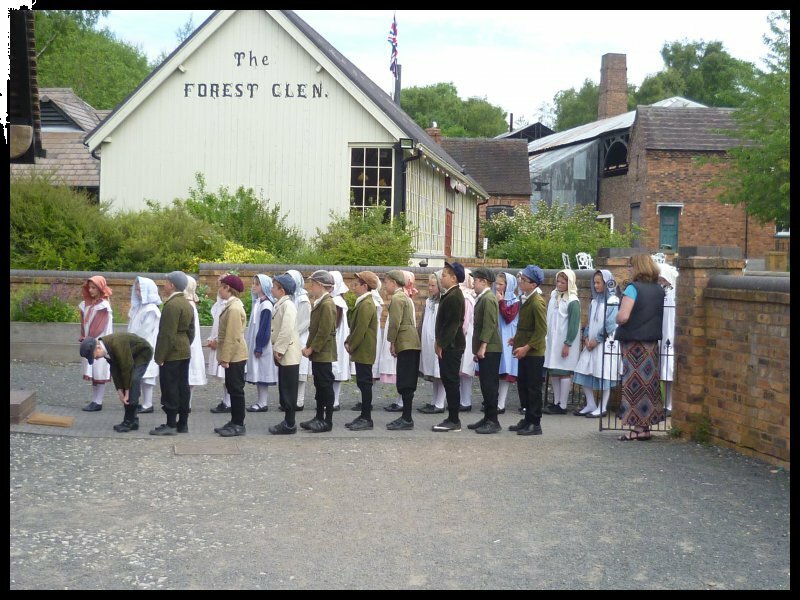 School parties visit the Village and it seems some are able to change into Victorian costume, go to the school room and be taught by a Victorian teacher – suitably equipped with a cane. After three hours of exploring I was exhausted. I’d had enough! 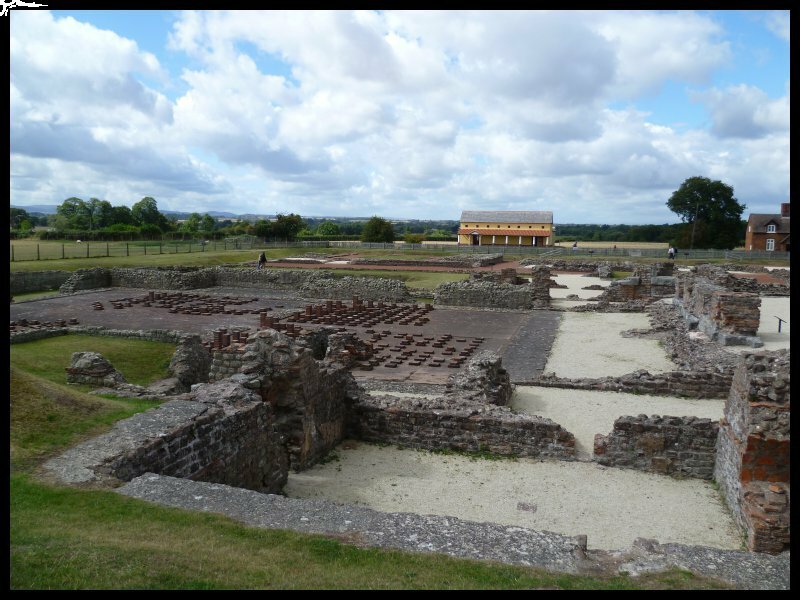 For my second days sightseeing I headed towards Shrewsbury and the Roman City at Wroxeter. 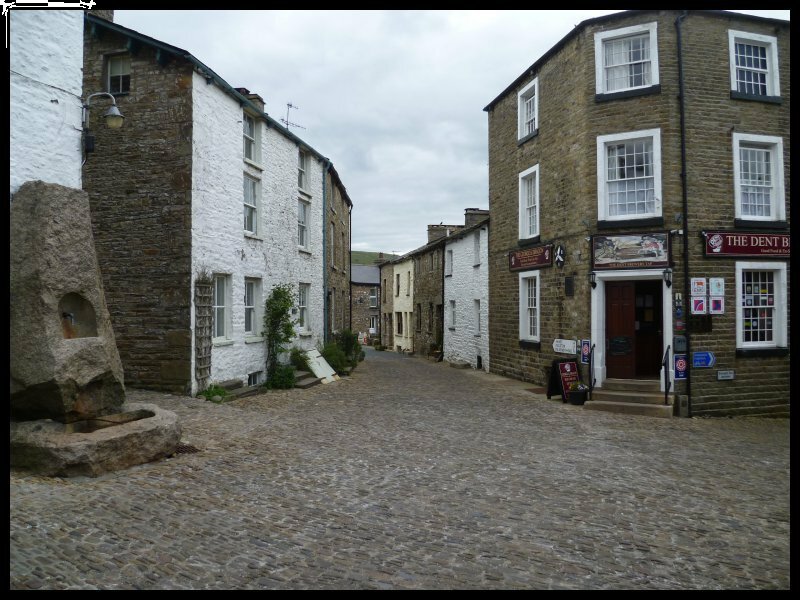 In Roman times the place was called Viroconium and it was big enough to be rated the fourth largest town in the Country. It began as a legionary fort but quickly developed into a civilian city populated by ex-soldiers and traders who followed the army. Most of the city is still unexplored and below the surrounding farmland. A lot of the excavated area is taken up with the baths and a wall which still stands at an impressive height. On the edge of the site is a fully built Roman town house. This was constructed a number of years ago as part of a Channel Four TV experiment where six builders set out to build a house using Roman-style materials and tools which were known to have been available in Roman times. Later I drove twenty miles south to visit the Acton Scott Historic Working Farm. Here you can see the farming practices of the Victorian era and the horse powered machines that were in use. I ended the day with a stroll through The Mynd – one of the valleys of the Shropshire Hills. On the next day it was back to the Ironbridge Gorge. I parked and walked along to the bridge, and across to the far side to see the toll house with its list of charges. As I strolled back, facing me was the Tontine Hotel. A tontine was a device which originated in the 17th Century to raise investment capital from amongst a group of people. And so it was that when the Darby family saw the number of visitors arriving to view their revolutionary new bridge, they gathered together their friends and between them financed the building of the hotel. Naturally it was called The Tontine. Back in the High Street, I retuned to my car. But as I passed by a pie shop I was overwhelmed by the cooking smells. I couldn’t resist going inside. Eventually I selected a beef/onion & potato pasty, straight from the oven which I carried back to my car. The next 15 minutes were divine…………………. Then I returned once again to the Victorian Village to continue my explorations. 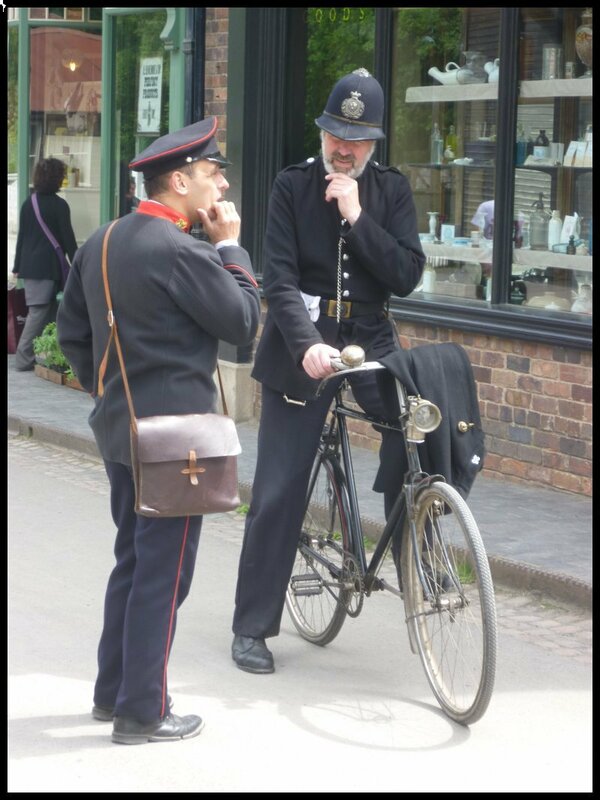 When I first arrived at Ironbridge I purchased an annual passport ticket which gains admission to all the various museums as often as one wishes throughout the year. And since I was able to purchase my ticket with Tesco vouchers, it effectively cost me nothing. 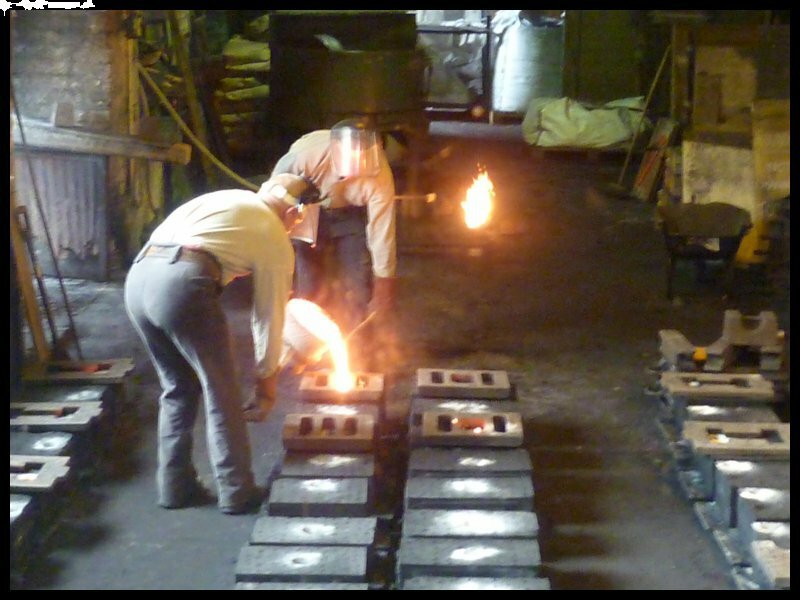 My arrival coincided with the start of a casting demonstration. The blast furnace had already been fired up and the molten iron was just about ready to be poured. Most of the moulded items are available for purchase in the shop. 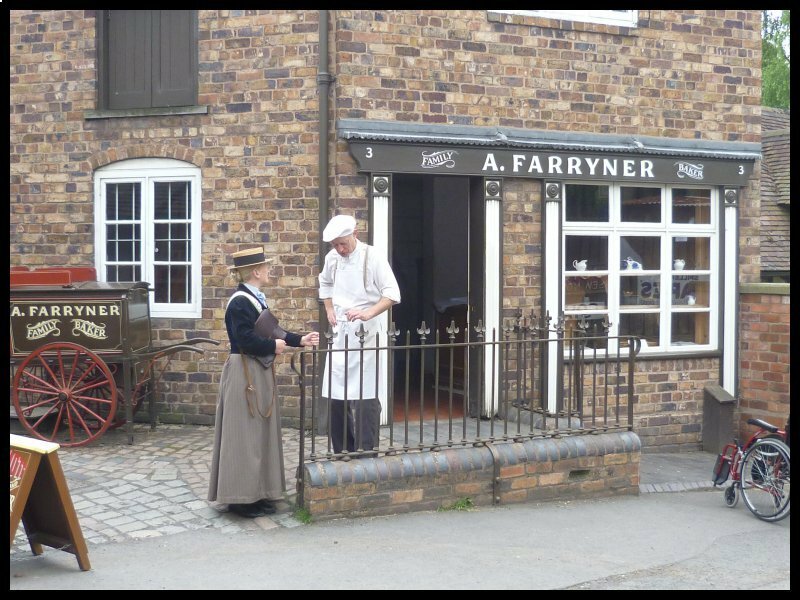 Later I went into the Pharmacy and realised it was the same shop which appeared in a past television series “The Victorian Pharmacy”. After lunch I went to visit the China Museum and later took a walk along the canal towpath to see the Tar Tunnel. Oh dear! That was rain I could hear pattering on the roof. For the first time since leaving home the weather had decided to break. It was wet and drizzly and so I spent the morning cleaning the interior of the van. Since I had to leave the site next day I decided to pack up and be ready to leave after dinner. I left Wenlock at 6.45pm with 160 miles to do. With a short coffee stop at Warwick services I reached home at 10.15. I am so glad that they have improved the toilet disposal at Halton Farm! We haven’t been to Shropshire for a few years now but reading this we must get back again. 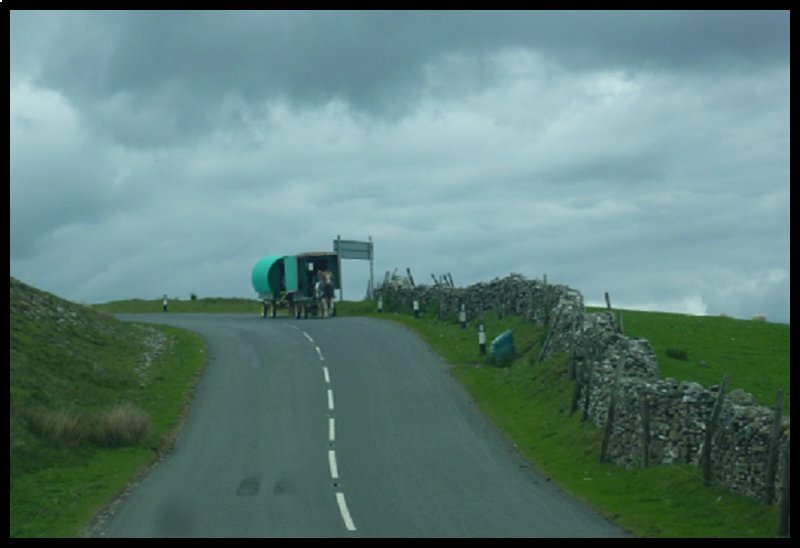 Maybe next year… and of course one of my favourite areas, the Dales. Yes – I wouldn’t hesitate in recommending the CL now. Although, as I said in the blog, I didn’t examine their toilet facility. Just re-reading this and realised you said you didn’t visit Hardraw Force because it involved a climb and a drink! Actually John they charge £2 to visit so you don’t need to buy a drink but more importantly there is no climb involved as it is all on the flat. Its lovely so do go next time. When are you off to Spain? Hello Jenny. Thanks for the info about Hardraw. If there is a next time, I’ll certainly include it!!. I’m off to Spain in three weeks time and planning to take around two weeks to travel down – depending on weather.